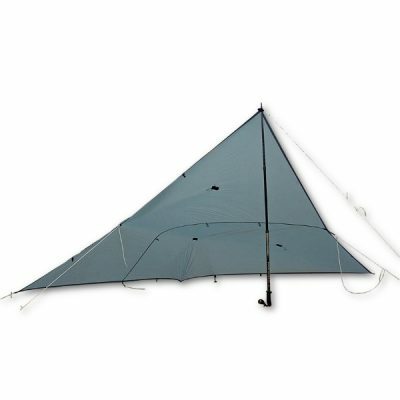 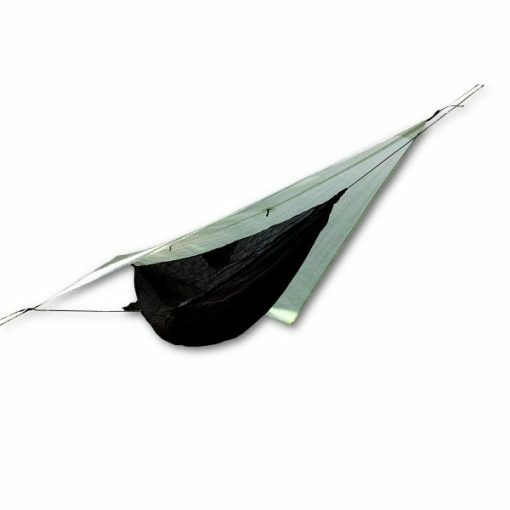 Our asymmetrical Hammock DCF ASYM Tarp provides maximum coverage with minimum weight and size. 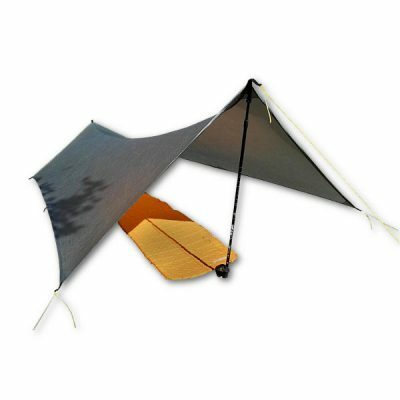 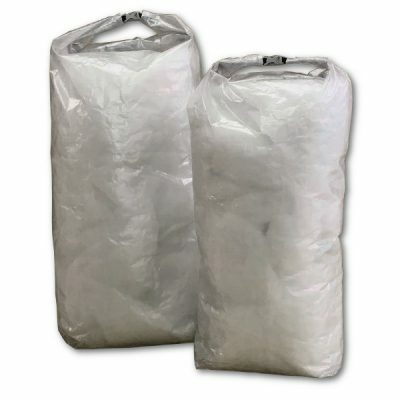 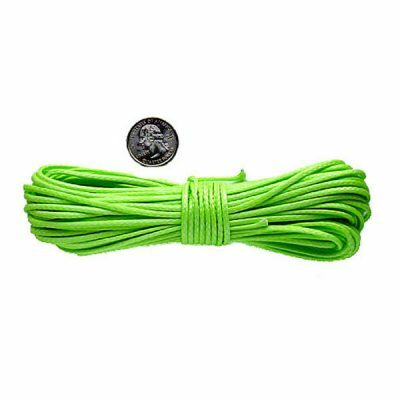 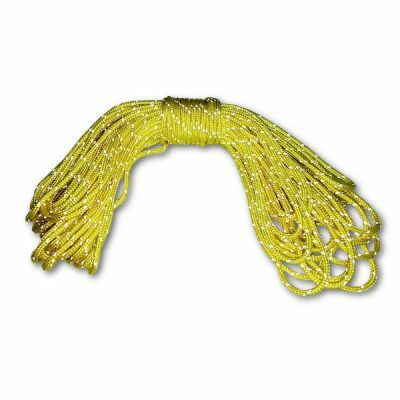 Sized to fit perfectly over most lightweight single hammocks, this smaller hammock tarp is half the weight, and as large or larger, than the fly's supplied by hammock companies with their lightweight hammocks. 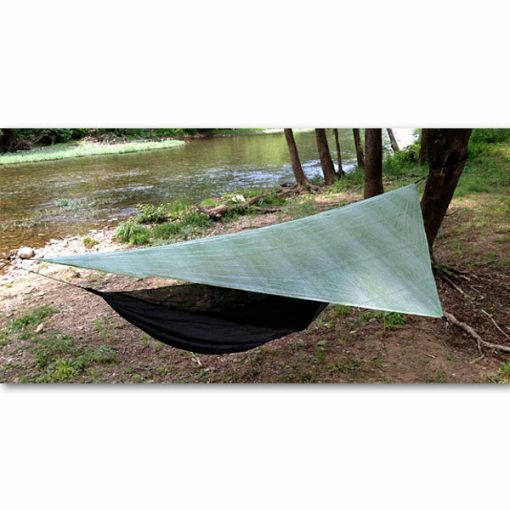 Our asymmetrical Hammock DCF ASYM Tarp provides maximum coverage with minimum weight and size. Sized to fit perfectly over most lightweight single hammocks, this smaller hammock tarp is half the weight, and as large or larger, than the fly’s supplied by hammock companies with their lightweight hammocks. 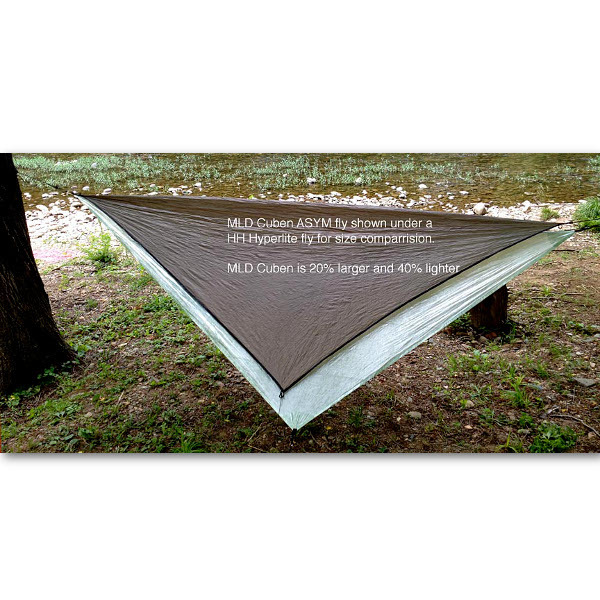 Our ASYM is 20% larger than the stock Hennessy Hammock UL Backpacker Fly, with the same up-side head /foot diagonal lay orientation. 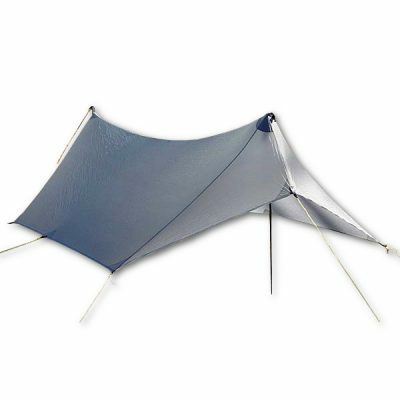 Pitch the ASYM wide and flat for best coverage. 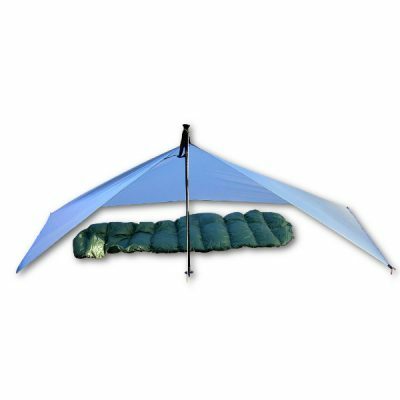 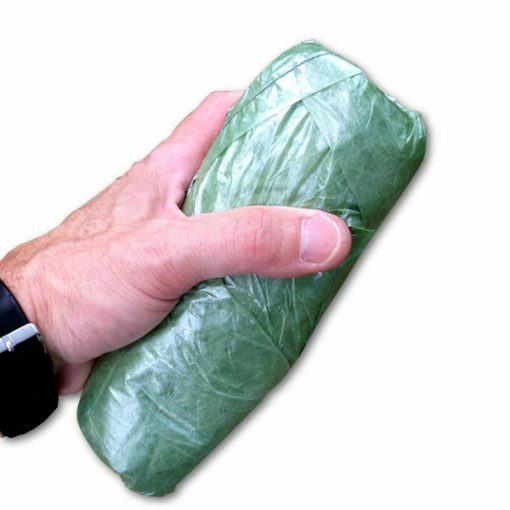 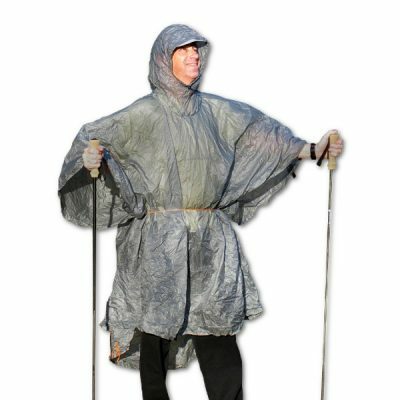 This guy’s even large enough to be used on the ground as a small solo tarp.